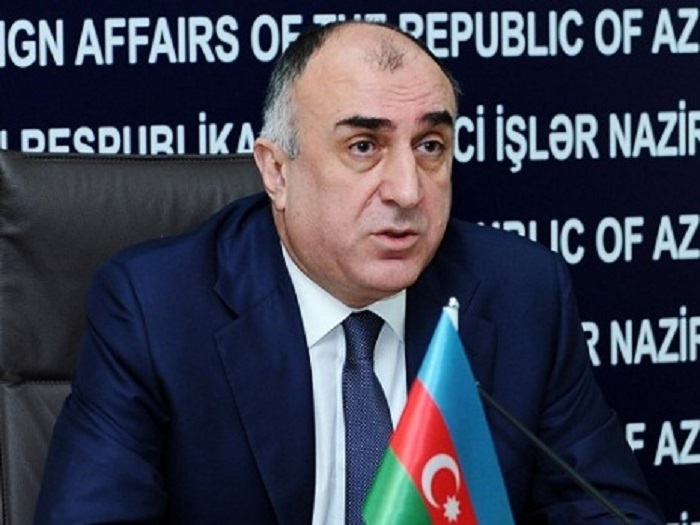 Occupation of the territory of Azerbaijan will never produce a political outcome desired by Armenia, Azerbaijani Foreign Minister Elmar Mammadyarov said, the Foreign Ministry told AzVision.az. Mammadyarov made the remarks at 39th Meeting of the Council of Ministers of Foreign Affairs of the BSEC Member States Dec. 14 in Baku, Azerbaijani Foreign Ministry said. Azerbaijan firmly believes in the prosperous future of the Black Sea region and has no doubt that this future can only be built on the basis of the good neighbourhood, mutual respect, humanity and tolerance, the minister said. The still ongoing occupation and policies of self-isolation also deprive Armenia of its potential for economic growth and trade in the region, Mammadyarov added. It also undermines our efforts to build a common regional trade in full respect to each other’s sovereignty and territorial integrity, he said. “We hope whenever a new Government will be formed in Armenia upon the mandate of the people of this country we must make a breakthrough next year and build up a good opportunity for bringing peace, stability and prosperity to the region,” he noted.